Besides Media Transferring and Video Production, Advanced Media has a sister company that specializes in post-production services called HD Creative Services. Post-production services deals with many things such as Tape Dubbing, PAL to NTSC Transfers, Coloration, Subtitling/Captioning, Editing, and much more. We work with many high profile companies like Millennial Films and MTV. 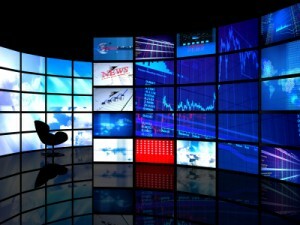 Just another way how we strive to be your one stop shop for all your Media Service needs. For more info on Subtitling and Captioning visit our sister site. Recently we added subtitles to a feature length Japanese Anime. The client provides us with the feature and a script with the time codes. We used the latest software to ensure accuracy and a quick turnaround to make sure the client got what they wanted in no time at all. We also recently added broadcast captions to several EPKs for feature films. Recent projects included: The Descendants, Alvin and the Chipmunks: Chipwrecked, and Shame. 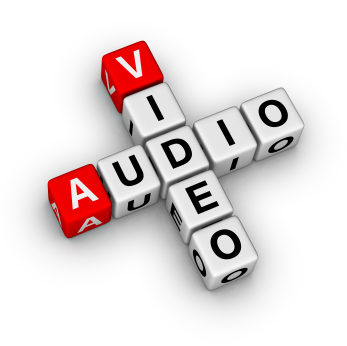 We believe that adding captions because everyone has the right to be informed and entertained. Because we do so many PAL to NTSC and NTSC to PAL transfers many foreign companies come to us for their subtitling needs. Subtitling is very important in marketing and sometimes mandatory in showing your project to various areas of the world and so we take accuracy and friendly services as high priorities. Contact us if you would like a free quote. Then Blu Ray arrived that increased the quality of features and TV shows. It looked like Discs were here to stay. However, DVDs are actually dying. The rise of Netflix and Hulu shows that digital and streaming video is the new way to watch/store movies and TV shows. The best way to get into this digital evolution is to transfer obsolete media, such as VHS Tapes, Beta, Film, Mini DV, etc onto a Digital Format or Hard Drive. It’s also very easy to upload said footage onto the Internet so you can share it in the various formats. So say you have a demo reel on disc, you should get it transferred to a up-loadable format so that casting agents can have instant access to your reel. Click Here to see how we can help you with transferring your tapes/films/discs to Digital Format.